A wooden skyscraper will be built in Tokyo, Japan, the tallest of its kind. The building will be 359 metres high, with 70 storeys, and is scheduled to be completed in 2041. The name of this skyscraper is W350, with “W” referring to its building material, “wood”, and “350” referring to its height in metres and also that it is the 350th anniversary of the founding of the company, Sumitomo Forestry. Most skyscrapers are made of steel and concrete, which is why people call cities “concrete jungles”. 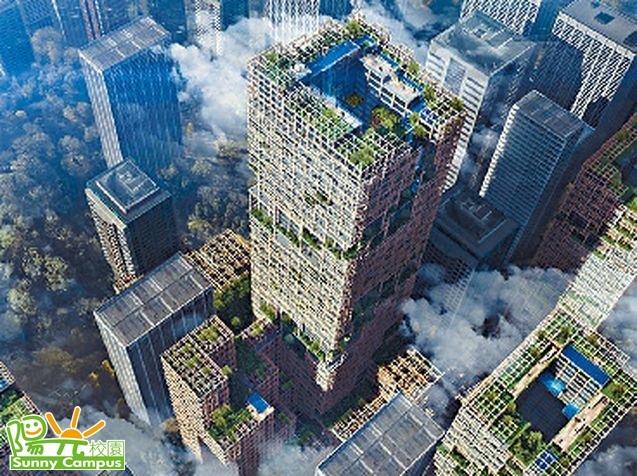 W350 hopes to change the city back into a forest, with the skyscraper not only built with wood, but also equipped with balconies filled with plants from the first floor up.